Open Learning Solutions are described as content development tools, focused simulations, adaptive reading, and high stakes assessments that leverage our technologies and learning science research. Work for Open Learning Solutions? Learning about Open Learning Solutions? "Good experience but a little difficult to navigate"
Content is well vetted. My students like the interactive components of the courses as well. There are multiple interactives for each textbook chapter so it reaches a variety of learners. It provides opportunity for students who are English Language Learners to develop their English skills as well. The students can look up not only content but also non-content words. Unless you are experienced with it, the system is a bit difficult to navigate. I have to walk my students through it step-by-step because it is not really self-explanatory on its own. My students are upper level and I'm not sure how well it would work with lower level students. Take some time to thoroughly get to understand the administrative and student components prior to distribution. Above and beyond classroom content. It provides my students with an extra place to go when they do not fully understand what has been discussed during class. They can navigate it on their own/ or on their own time. The ability to streamline content teaching into a seamless experience. Still having to spend a lot of time learning to navigate the system. Trying to utilize low cost but high gain learning experiences for a digital classroom. 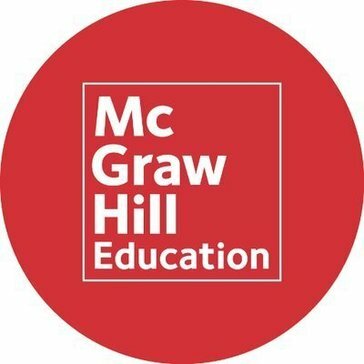 "McGraw Hill - Finance book "
"Review of Open Learning Solutions"
The personalization of the learning experience and environment. The learning curve to master the program. Take the time to consult to determine the best solution for your needs. Tailoring courses and resources to students. * We monitor all Open Learning Solutions reviews to prevent fraudulent reviews and keep review quality high. We do not post reviews by company employees or direct competitors. Validated reviews require the user to submit a screenshot of the product containing their user ID, in order to verify a user is an actual user of the product. Hi there! Are you looking to implement a solution like Open Learning Solutions?